With President Obama’s high and wide pitch, baseball season is officially upon us. So I turned to Matthew Mugmon to dig into the archive for signs of the pastime’s past. Matthew is a graduate student in music at Harvard, whose dissertation looks at the relationship between American modernism and the music of Austrian composer Gustav Mahler. And when you’re done reading his musings about baseball, check out his recent guest post on Gershwin at Amusicology. In our baseball game of love. It means winning or losing a lot! And that’s all before the chorus. Here, I perked up my hometown spirit by searching for John McGraw, an early Orioles legend who shared a nickname with me: Mugsy. As the archive’s section “It Aint’ Cheatin’ If You Don’t Get Caught” notes, Mugsy — who in this card looks a bit like George W. Bush — “routinely cut inside bases, impeded baserunners by blocking them or pulling on their belts, and maddened umpires and the opposition with his short fuse and sharp tongue.” Russell’s six McGraw cards depict Mugsy as manager of the New York Giants. Mugsy’s antics as manager, we find out from the archive, apparently got him ejected 131 times. 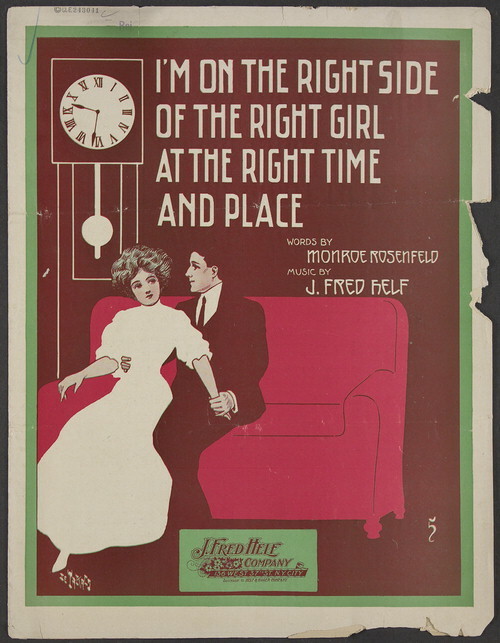 If only Mugsy’d had access to the Library of Congress’ baseball sheet music collection, he could have sung “Let’s Get the Umpire’s Goat,” by Nora Bayes and Jack Norworth. Or maybe Mugsy secretly wrote the song. Sadly, in the years of Russell’s collection, my Orioles were a minor league team. The modern pro Orioles would migrate from St. Louis in 1954; the previous pro Orioles had moved to New York in 1903 and eventually became today’s New York Yankees. I can’t imagine collecting minor-league cards, but it wasn’t so ridiculous in Russell’s day. Aside from players on teams you’ve probably never heard of — like the Southern Association’s Nashville Volunteers — I found nine Orioles in the senator’s stockpile. This includes Jack Dunn, shown here because it’s one of those unusual cards that shows the subject actually doing something baseball-related. This guy ran the Orioles and was responsible for having sold the great Babe Ruth from the O’s to the Red Sox in 1914. (For a nice account of this disaster, see Kal Wagenheim’s Babe Ruth, pp. 24-25). So here’s to you, Jack, for starting an Orioles’ tradition — acquiring and then getting rid of good players. 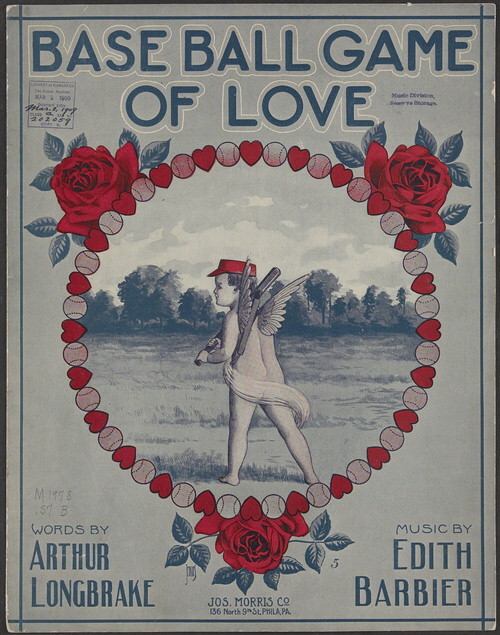 The baseball sheet music collection has a few Babe Ruth songs, but you can bet Mr. Dunn never reached first base with any of them. Thanks for the Russell Library shout out!